Injury frustrated Douvan could make his long-awaited return in the BoyleSports Champion Chase at the Punchestown Festival later this month. The nine-year-old trained by Willie Mullins has been out for the entirety of the season, and has not been sighted since finishing second to stablemate Un De Sceaux in last year's renewal of the two-mile Grade One. That was his first defeat in Ireland in the colours of Susannah and Rich Ricci, but the dual Cheltenham Festival winner has been blighted with problems since fracturing his pelvis in the 2017 Champion Chase - where he was sent off the 2/9 favourite. Problems to his leg before a tendon issue has limited him to just two starts in the last two years, but the horse branded as 'the best Willie Mullins has ever trained', could spearhead his attack on the prestigious season-ending Irish Festival. Un De Sceaux, Great Field and Cheltenham flop Footpad are all in the mix as well, along with last week's impressive Aintree victor Min, who got his revenge on the grey Politologue in the JLT sponsored Melling Chase. 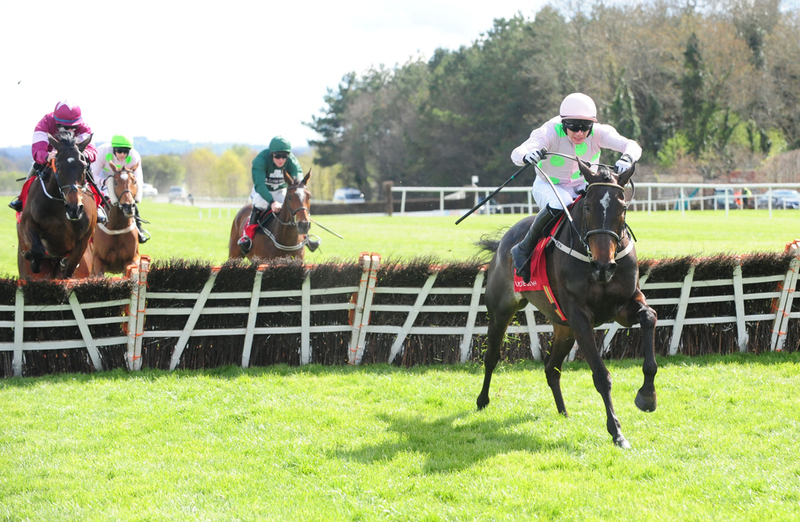 (Credit: Sky Sports Racing) Mullins said: "Douvan started his fast work this week and then we'll see how he progresses between now and Punchestown, but it would be nice if we could get him back there. "Great Field is back and seems to be in good form in himself, so if we can get him to Punchestown we'll be doing our best to do that. "Min should be fine after Aintree. That was a very pleasing performance from him last week. "Footpad has disappointed us this season, and we will monitor him because things just haven't gone right for him. We'll keep an eye on his progress but we are happy to let them all take their chance at Punchestown if we can." God's Own - who won the race for Tom George three years ago could try his luck again, whilst Hell's Kitchen - who ran a cracker in the Champion Chase last month at Cheltenham finishing fourth, also features among the other 15 contenders. The Herald Champion Novice Hurdle is the first Grade One race of the Festival and could feature a clash between Supreme Novices' Hurdle winner Klassical Dream and Nicky Henderson's unbeaten hurdler Champagne Platinum, with a total of 20 horses entered. Mullins will also have a very strong hand for the Punchestown Gold Cup, with Cheltenham Gold Cup winner Al Boum Photo joining subsequent Aintree successor Kemboy in the field for the feature Grade One. Kemboy - who unseated his jockey in the Cheltenham highlight this time last month, absolutely bolted up under Ruby Walsh on Merseyside at last week's Grand National meeting, ahead of the likes of King George winner Clan Des Obeaux and Betfair Chase victor Bristol De Mai.